Using the hammering to drive a few nails on a wooden chair or table is okay but hammering away thousands of nails for a home renovation is not okay. If you’ll be working with trim and also baseboards, the brad nailer is the perfect fit. 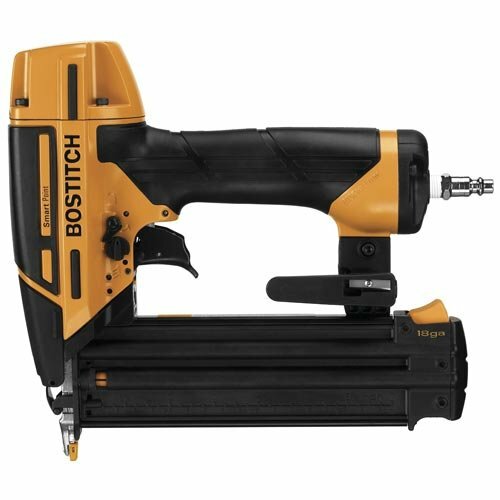 2.1 What is a brad nailer best used for? 2.2 Can a brad nailer use staples? 2.3 Can you use a brad nailer baseboards, crown molding, and other trim? 2.3.1 What gauge nail does one use? 2.4 Can you use a brad nailer for hardwood floors? 2.5 Can you use a brad nailer for framing? 2.6 How Do I Oil It? 2.7 What PSI should I be set to? First of All, It is made from an extra-durable magnesium body. Operated by a compressed air that has an air hose. Meaning air is delivered via a hose. Effeciently work with no wasting time. Gives neatly and professionally work. Needed to find an air compressor that is compatible with your brad nailer. Safety first two words you need to remember about this brad nailer. Also, Handle it correctly. For the reason that it is powerful which can injure yourself. First aid kit is the important things you have when you are working with the electric device. 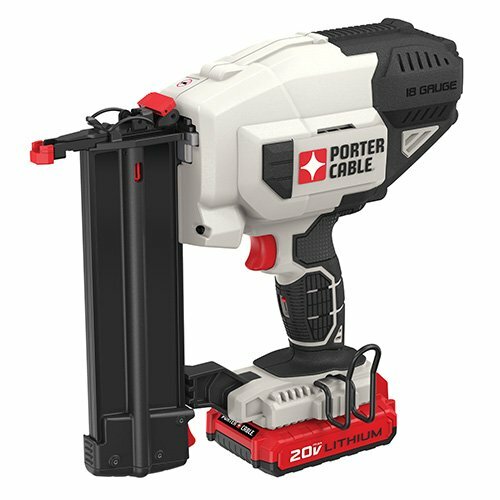 Over the last few months, I have been researching and testing as much power tools as I can. I finally figured it all out and came up with this list of the top 5 brad nailer in my opinion. It has a magnesium body with stunning design. Brad nailer is often used to drive nails between 5/6 and 2 inches in length. However, there are some that can only handle nails between 1 and 1.25 inches. Before you settle on a choice, you need to consider the type of project that you are going to work on as well as the length of the nails that you are going to use. In most cases, when using a brad nailer, you are forced to shoot very tiny nails within confined spaces. If you want to be very accurate (of course every craftsman do), you need a unit with a nose that is small enough to help you fire comfortably and be sure that the nail will end up at the intended target. Accordingly, when buying, strive to go for one with a slim and compact design to fit into tight spaces. Commercial versions are either electric (powered by electric motors) or pneumatic (powered by compressed air supply). There are also cordless options as well. The choice that you settle for should be guided by your preferred power source. While pneumatic versions are reliable and also powerful, you must have an air compressor and also must be ready to deal with a hose. Cordless Brad nailers are convenient as they don’t need cables but they are quite expensive and also their batteries need to be charged regularly. Furthermore, they can be heavier due to the additional weight of their batteries. Some brad nailers come with power settings and also firing modes, which can be adjusted depending on the type of material that one is working on. Brad nailers should allow you to fine-tune how far you can push the fastener into the material you are working on. There are brands that allow you to adjust the depth by hand, while others need special tools. Remember, a good depth adjustment system boosts the usefulness and also makes it perform like multiple tools. There are certain types of customized designs that make it seamless to clear nail jams. Most commercial versions come with two components to their triggers: the tip of the gun, which you need to push against an object before it releases the fastener, and also the grip trigger, which you can press with your finger. 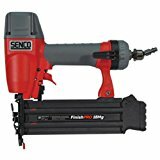 Options that have ‘contact triggers’ allow the user to simply hold down the trigger with a finger and also tap the tip of the nailer on the object, and immediately releasing the fastener. On the other hand, ‘sequential triggers’, the tip of the gun must be pushed against an object before the user pulls the trigger. Although it can be tiring to use, it is safer. Like any other tool or equipment, the cost varies from one brand to another. For instance, progressive brad nailers and also staplers tend to be pricier than their regular counterparts. If your project is more professional and also demanding, you will definitely go for a progressive brad nailer from a famous brand. 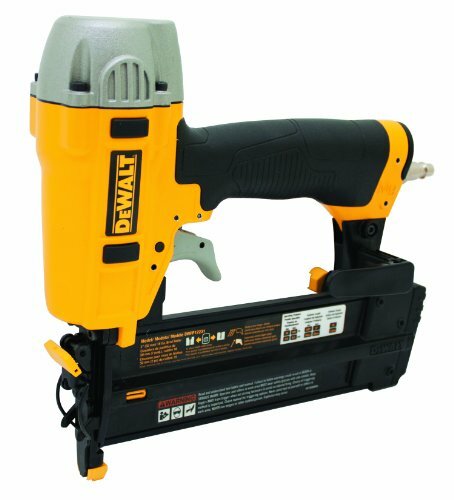 However, if you are buying the nailer for a small DIY project, regular types will suffice. Different brands give varying warranty and also repair facilities. Accordingly, before you settle on an option, it is critical to carefully read their warranty and also repair scheme. As a result, these types of brad nailers are very crucial carpentry tools. They are more convenient than traditional hammers. However, to end up with the best type for your project, you need to understand one aspect: what to look for when buying one. Although the list is not exhaustive, it will go a long way in helping you purchase the best type in the market. 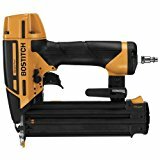 What is a brad nailer best used for? These hand tools are perfect for the interior trim and also cabinetry. Can a brad nailer use staples? You can get some options that are kind of a brad, finish and also stapler kit all in one but I would suggest using a stapler only for this. Can you use a brad nailer baseboards, crown molding, and other trim? It can work but you will want to keep the nail length in mind when using one. You may find also that the nails are just too short – going to really depend on the thickness of the baseboards, trim, etc. What gauge nail does one use? Can you use a brad nailer for hardwood floors? For the most part, you should be fine. I think I would use other other options but even still, you should be okay. I would recommend testing it on a few pieces first and see how it works out then decide from there. Can you use a brad nailer for framing? No. And the reason are quite simple – the nail size isn’t correct and also usually, brad nailers just don’t have enough power to handle a framing job. What PSI should I be set to? You are going to find that most guns will probably work best at between 95 and 120 PSI. It really depends on the type of wood you are driving nails into. There are some differences about Brad nailer and Finish nailer. 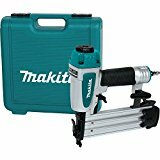 It can easily determine the nailer by its size. Brad nailer is shorter than Finish. it is Often have a thin flat head that is invisible over the wood trim. Have lighter 18 gauge nails . Finish nailer is larger than Brad. Often use 14-16 gauge, means shorter, lighter nail gauge. Finish nailers can split any lightweight wood trim. Watch this video to know more on how to choose between brad nailer and finish nailer. what are their differences in design for finish and trim woodworking.